To have a settled position on anything is anachronistic. There has to be an element of ambiguity in your work and thinking, otherwise you’re dealing in what Richard Rorty called ‘dead metaphors’. Herein lies the richness and the challenge of Foucault’s work. His is a philosophical approach to power characterised by innovative, painstaking, sometimes frustrating, and often dazzling attempts to politicise power itself. 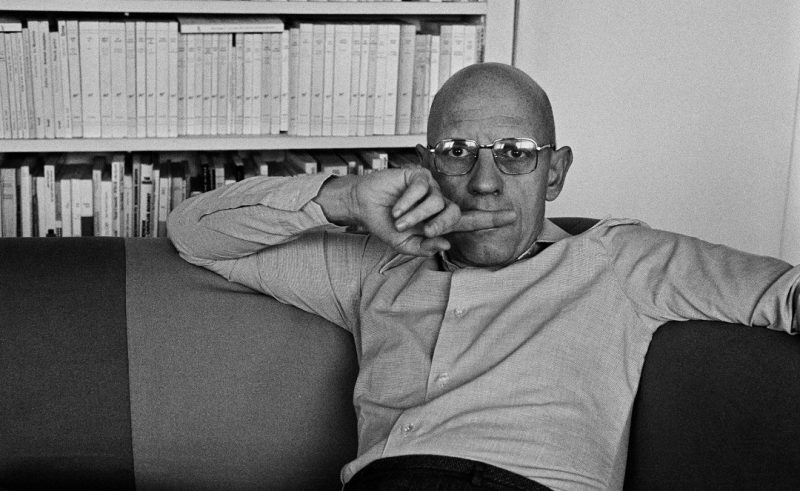 Rather than using philosophy to freeze power into a timeless essence, and then to use that essence to comprehend so much of power’s manifestations in the world, Foucault sought to unburden philosophy of its icy gaze of capturing essences. He wanted to free philosophy to track the movements of power, the heat and the fury of it working to define the order of things. Foucault’s skeptical supposition thus allowed him to conduct careful enquiries into the actual functions of power. What these studies reveal is that power, which easily frightens us, turns out to be all the more cunning because its basic forms of operation can change in response to our ongoing efforts to free ourselves from its grip. I’m reading China Miéville’s October: The Story of the Russian Revolution at the moment. It’s making me re-realise that power is never given, it’s always taken.